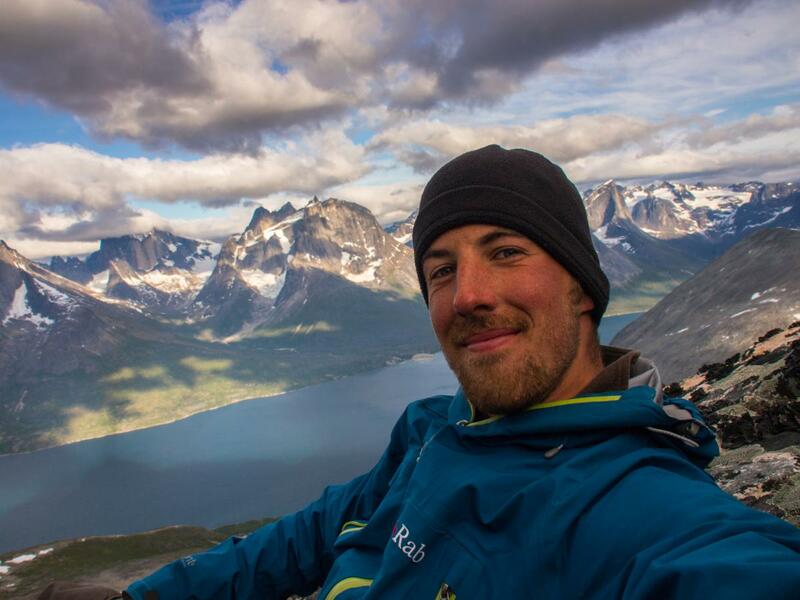 In the previous part I have finished my mountain crossing towards Søndre Sermilik and rafted across the fjord. I have been on the trail for 8 days. 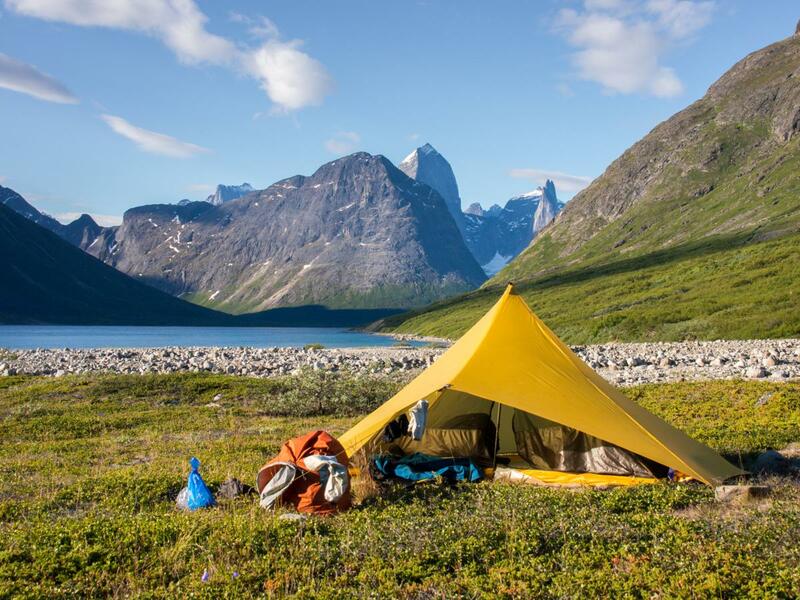 That gives me another 7 days to hike through the Itillerssuaq valley towards Tasermiut fjord, and follow the fjord to the south to the village of Tasiusaq before I will run out of food. 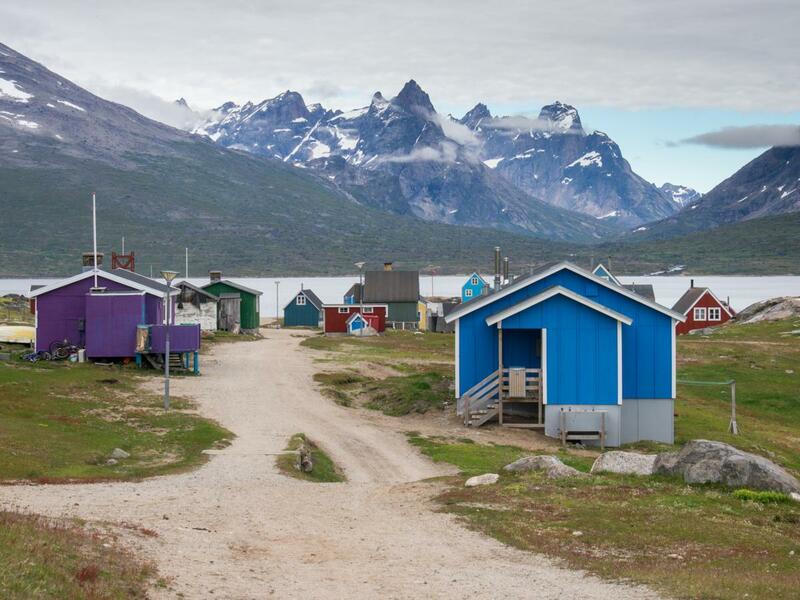 The day near the mouth of the Isortoq river in Søndre Sermilik fjord starts like the previous one had ended: with clear skies and dense clouds of flies and mosquitos. It is almost impossible not to swallow a handful while I have breakfast. It is low tide when I get going, and a broad intertidal sand beach has formed. I walk it towards the mouth of the river, which I can now easily ford as it sets braids on the beach. 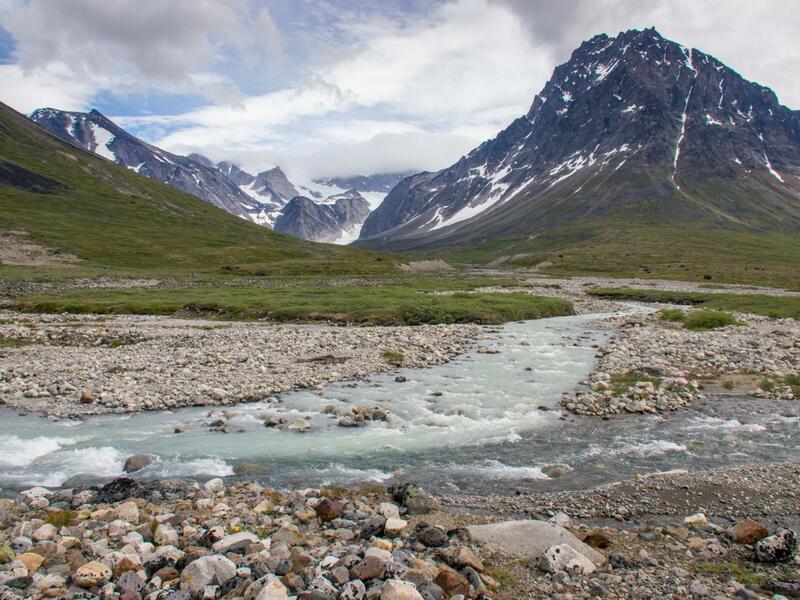 I soon reach the debouchement of the Ipatit kuat river, which drains the western half of the Itillerssuaq river. I start following it upstream through a river bed mainly consisting of large cobbles, thus avoiding most bushwhacking sections. The going is relatively easy. But as I progress east into the valley, a headwind suddenly picks up, quickly increasing to a 5-6 beaufort breeze with serious gusts. The fjord water behind me immediately starts to come to life with large breakers. I realize I am lucky to have crossed the fjord yesterday. 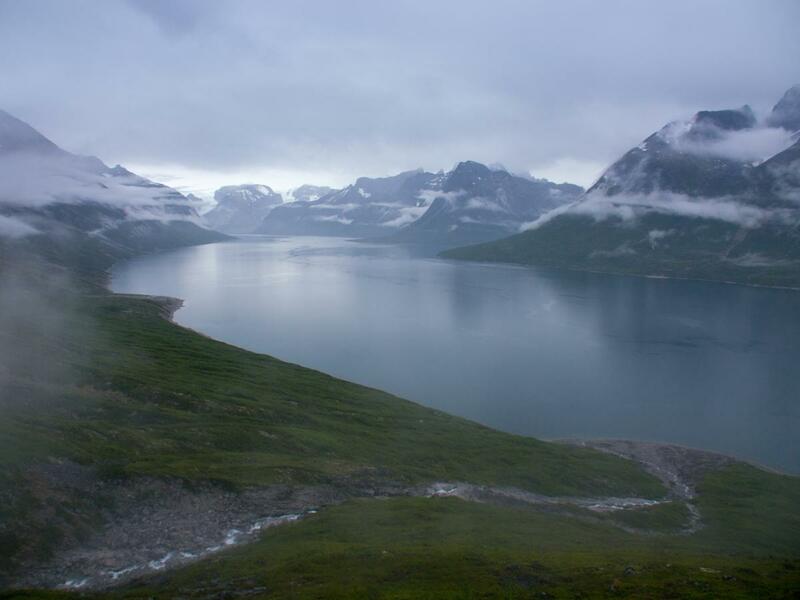 Together with the wind, clouds start to rush in at an alarming pace, quickly swallowing the mountaintops at the eastern side of Tasermiut fjord. Even though it is only noon and I have covered a mere 7km, I start to search for a sheltered bivouac spot to comfortably sit out the foul weather which I presume is coming. About half an hour later I spot what I had been looking for: an immense size-of-a-house boulder, with a 10m moraine ridge just behind. I pitch my tarp behind to moraine ridge, pulling the front panels close to the ground in a low-pitch configuration. Wind gusts are less strong then on the open tundra, but I decide to ‘test’ the solidity of my pitch anyway by shaking the supporting trekking pole vigorously. Suddenly the pole snaps on the connection piece between 2 segments! I am very, very angry with myself. But the damage is done, and there is no way I can make a repair. I quickly make a safe pitch again with my second pole, then keep swearing on myself for almost the entire remainder of the day. It was a pity. The past few days, I had been fully catapulted into the addictive feeling of a successful wilderness trip. Ok, it is only a trekking pole. But with 17 days of bushwhacking, serious river fordings and relentless boulderfields ahead, it is not the best thing to happen. It had happened the most stupid way imaginable, and I have a long windy afternoon and evening to think about it and to abruptly lose my positive feeling and energy. The wind keeps howling during the night with regular rain. In the morning hours it becomes dry again, but the strong easterly wind remains. 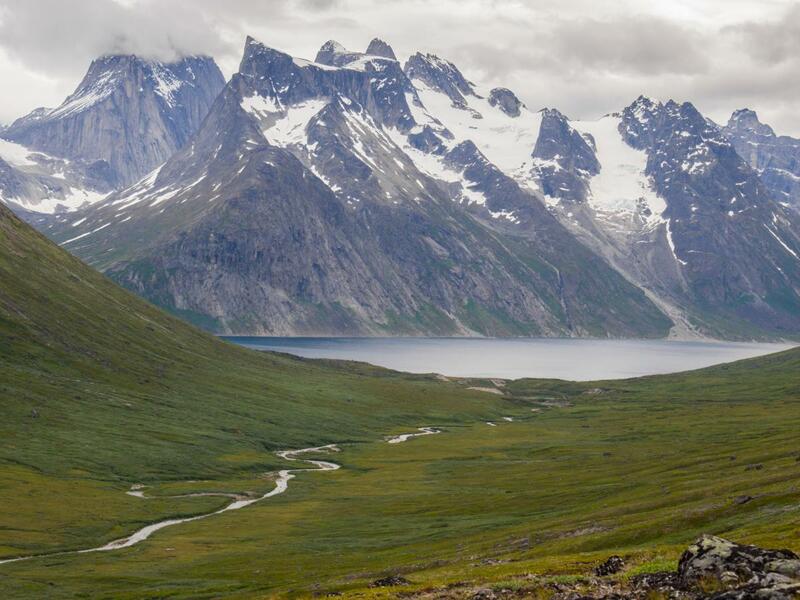 I start hiking at about 9.30am, soon crossing the subtle pass and starting the gradual descent towards Tasermiut fjord through a green valley. A few ponds blanketed with beautiful Hippuris vulgaris plants, which dance in the wind, make for some beautiful pictures. 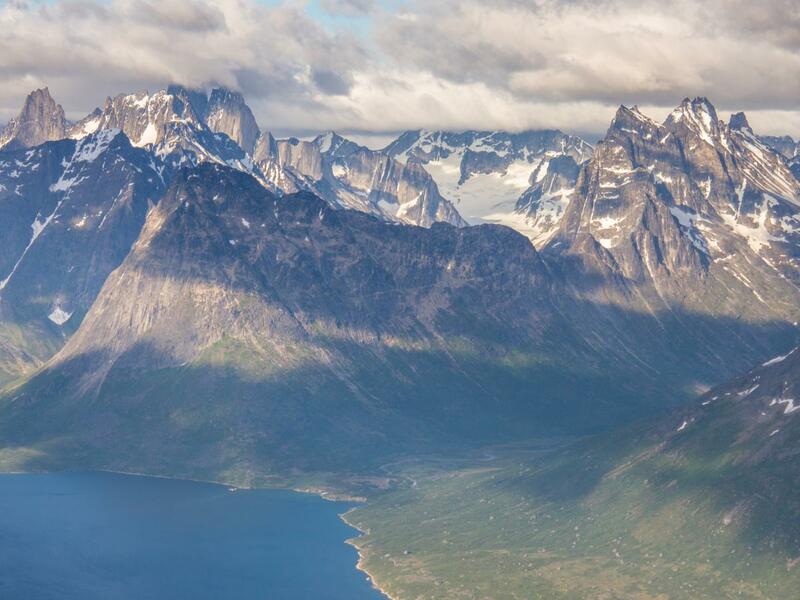 The heavily glaciated Tiningnertûpqáqâ range at the eastern side of Tasermiut fjord makes for a stunning backdrop. As I descend further towards the fjord, I cross two small lakes. It is chilly weather, but at least the wind keeps the insects aground, and I go for a full wash. I skirt along the northern side of the lakes, which is not the best choice as I soon find myself struggling through boulderfields overgrown by bushes. 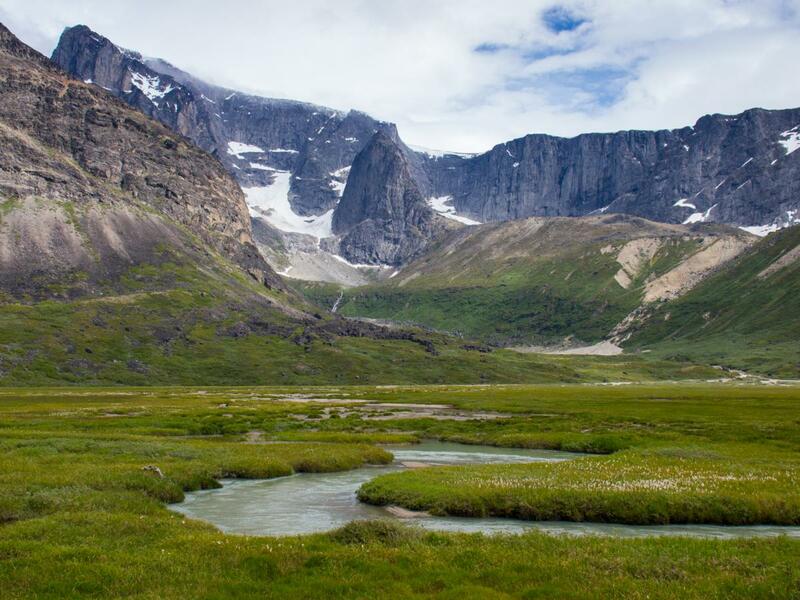 After that I descend steeply towards a beautiful, green alluvial plain, with the turquoise meltwater stream rushing down from a glacier at the northern side of the valley meandering through. It is a beautiful section, and when I’m at the eastern end of the plain I decide to leave my bag for a while and hike up the southern valley slopes up to about 500m altitude for improved views. 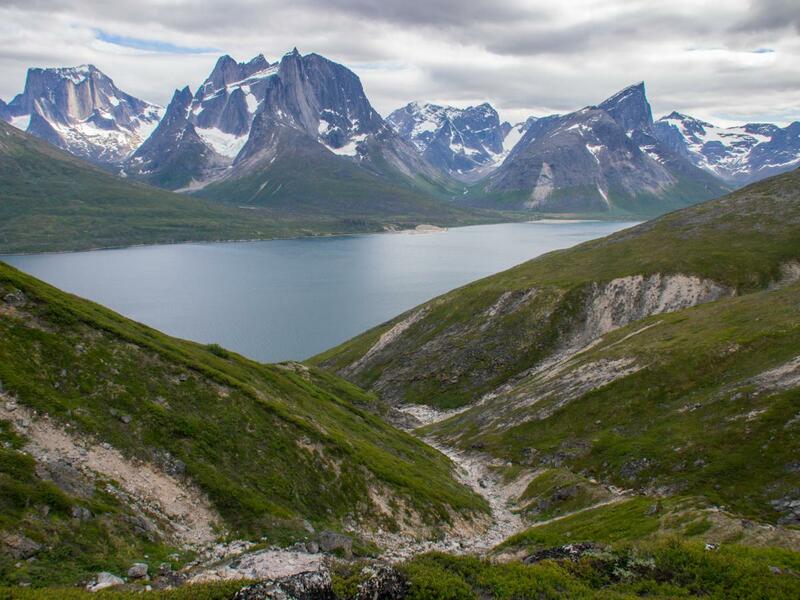 I try to stay at about 200m altitude while traversing the southern valley slopes when I hike further towards the fjord, hoping I will avoid the worst of the bushwhacking. In contrast to the western half of the valley near Søndre Sermilik, there is little possibility to hike through the river bed. The bushes also seem to be higher and more dense. But after having forded a very powerful stream rushing down from a side valley about 3km short of the fjord, I find myself fighting through the brush anyway. I try to keep traversing, hoping to get views towards the Sermeq glacier at the head of the fjord. This glacier is in fact the southernmost glacier in Greenland streaming from the Ice Sheet straight into the sea. 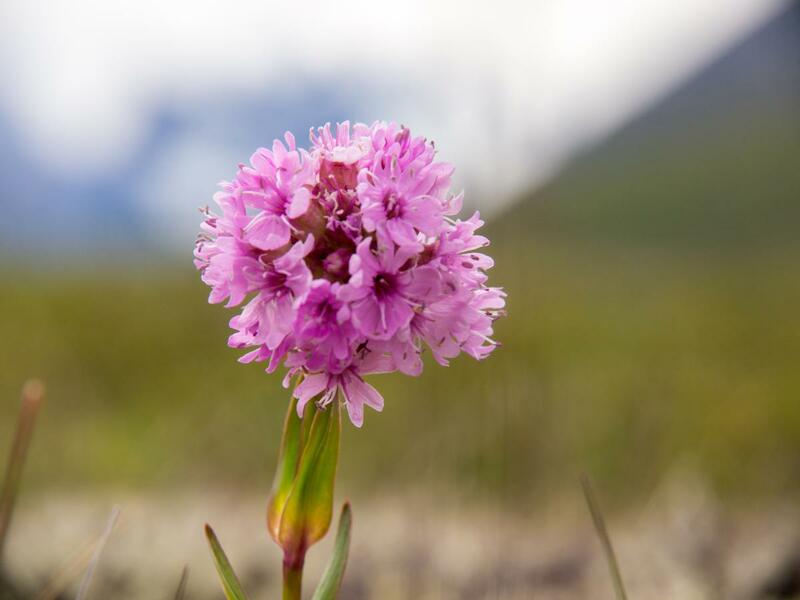 It is retreating at an alarming speed, however, and soon may lose its title to a glacier reaching Lindenow fjord about 30km further northeast. But after a while the bushwhacking grows too nasty. I leave my bag again and frontally climb the valley slopes again up to 450m altitude. I still cannot see the glacier, but the views are nonetheless exceptionally rewarding. 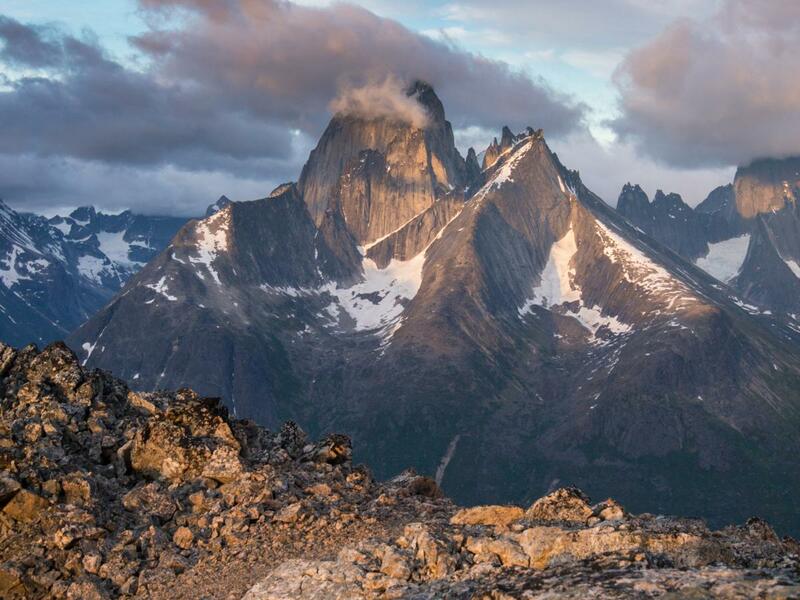 Besides the great retrospective view through the Itillerssuaq valley, the wild mountain ranges at the eastern side of Tasermiut fjord make up a massive panorama. 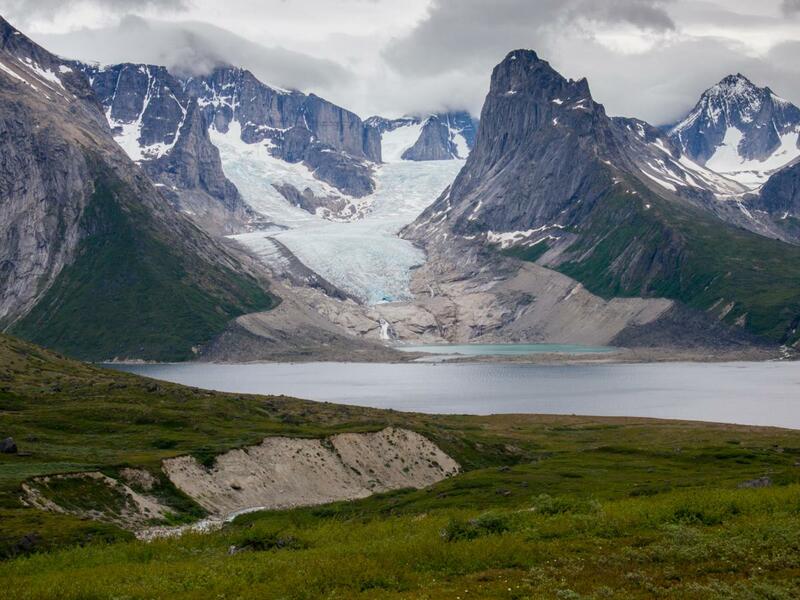 I have a frontal view towards the Sermitsiaq glacier, which still reached the fjord at the beginning of the 20th century, but has already retreated about 2km in the meantime, leaving an ugly scar of polished barren rock and moraine behind. I search for a bivouac spot between the shrub low in the valley, but such a place seems hard to find and I start descending towards the mouth of the river in the fjord, soon fighting through 3m birches and willow. After almost an hour I’m finally through. But I do not find a bivouac spot on the right bank of the river, which entirely consists of thick brush. It appears there are way better spots at the left bank. But the single-channel river is just too powerful to ford in a safe way. It is 5.30pm, just after high tide. I decide to wait for the water to drop, and try to ford the river on the braided part in the intertidal zone. I cook my dinner, and try to find shelter from the wind in the brush while the hours slowly tick away. At 8.30pm the water has finally dropped sufficiently to carefully ford on the beach… and I pitch my tarp on a perfect spot. To my delight, the sky has completely cleared by the next morning, with a 4 beaufort northeasterly wind still sweeping across the fjord. The views are stunning. Besides the Sermeq en Sermitsuaq glaciers, the big walls in the Ketil area are just jaw-dropping. The massive northwest face of Ketil (2003m) itself, a vertical granite wall over 1400m (the highest big wall on the globe, which is not even climbed every year!) is the most impressive of all. The razorblade-like north ridge of Pyramiden towers high above the Klosterdalen valley like the back of a Stegosaurus. I get going early and start paddling on the fjord at around 7.45am. It is too windy to cross the fjord, with 40cm waves with breakers racing across from the northeast. 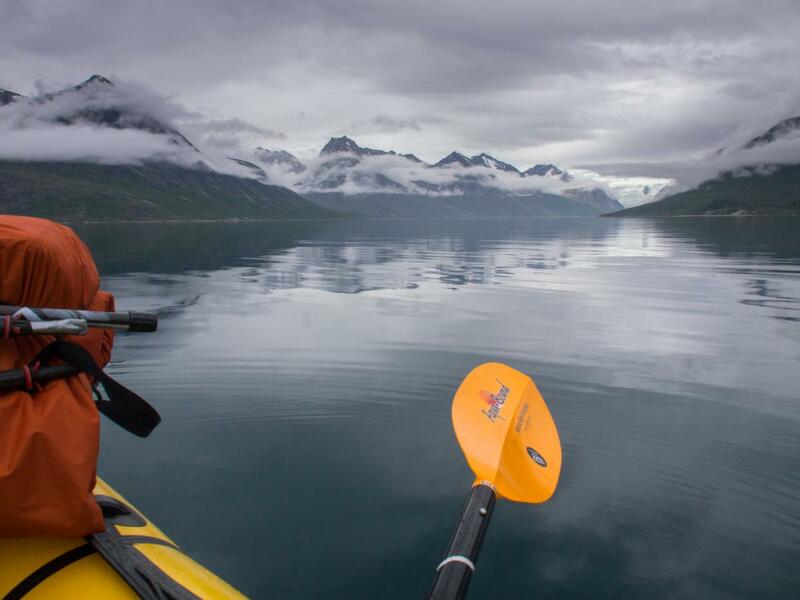 I decide to stay close to west shore and enjoy the good tailwind to make some distance; alternatively paddling along steep cliff faces, shrub-covered slopes and scree levees where a stream enters the fjord. 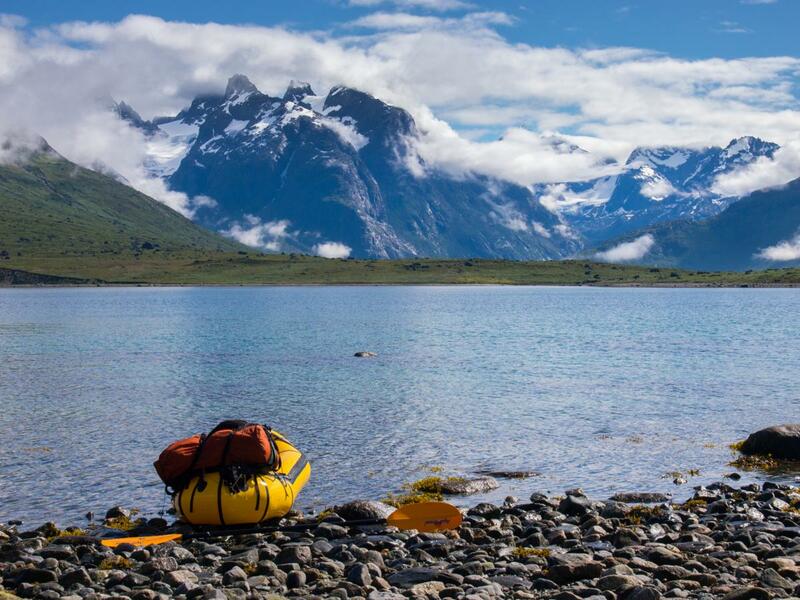 I regularly take a break on the water or along the shore to enjoy the phenomenal views back towards the Sermeq glacier, which plunges down about 1500m from the ice cap over a mere 3km distance. While passing the Tininnertuup Qaqqaat range at the other side of the fjord, the northwest face of Ketil gets ever more impressive. It is a delightful morning, and I often just find myself gazing around while being propelled forward by the wind. I pass the debouchment of the Itiliikasik stream, and continue for another 2km until I reach the mouth of the creek coming down from a small cirque formed by the nameless mountains 1021m, 1205m and 1282m. 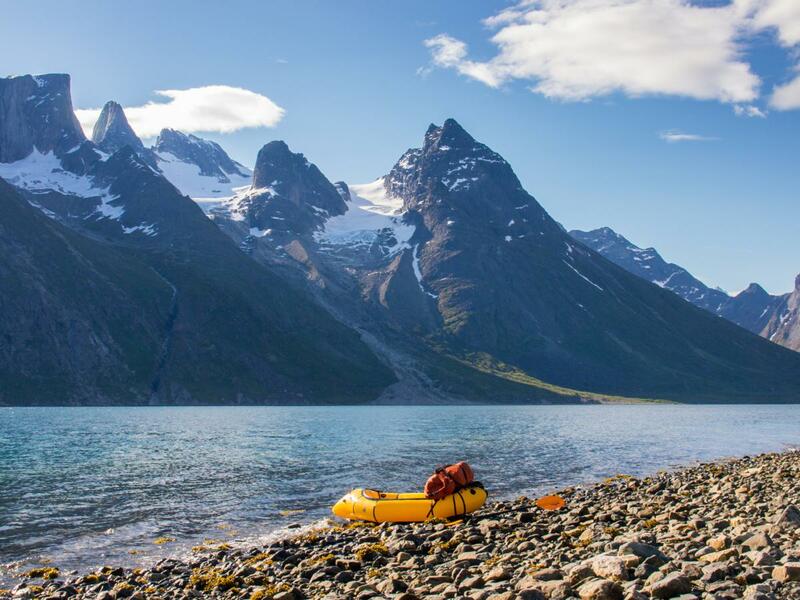 Here I decide to desinflate my raft, and try to hike up into the valley and towards a summit to enjoy the views across the fjord towards the world-class granite walls of the Ketil and Ulamertorsuaq ranges. In the meantime it has become partly cloudy again, with the wind gaining strength again. The hike along and through the riverbed, mostly on small boulders and rock slabs, remains easy until about 200m altitude. Higher up the river cuts through a narrow gully with very steep slopes. 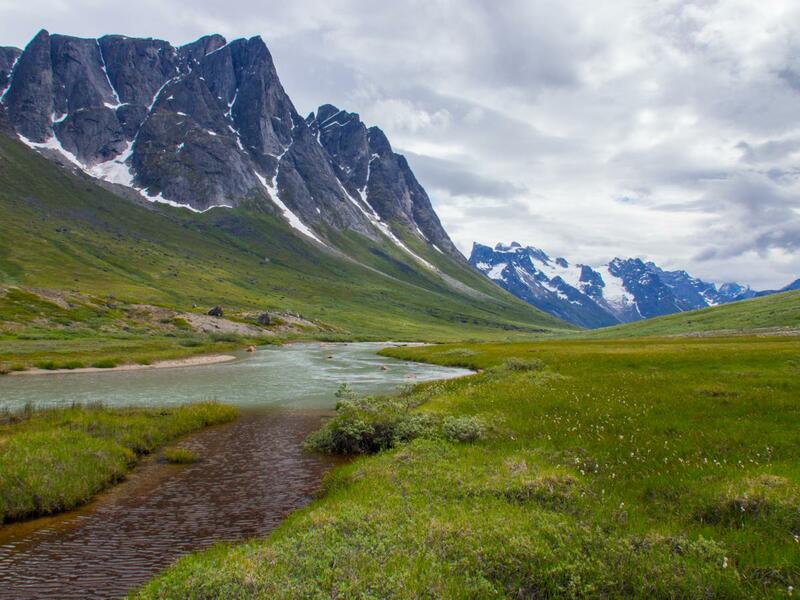 I decide to cross the stream, and continue climbing on tundra terrain at the northern side of the valley, and try to traverse into the valley higher up. The first part is easy, but then it turns out I have made a bad choice as the slope higher up (350-450m) is cross-cut by several deep, steep and unstable gullies, which I have to cross one after the other, traversing very steep (up to 40°) tundra in between. It is a harsh stretch, but finally I reach easy terrain again as I approach the main stream through the valley again. 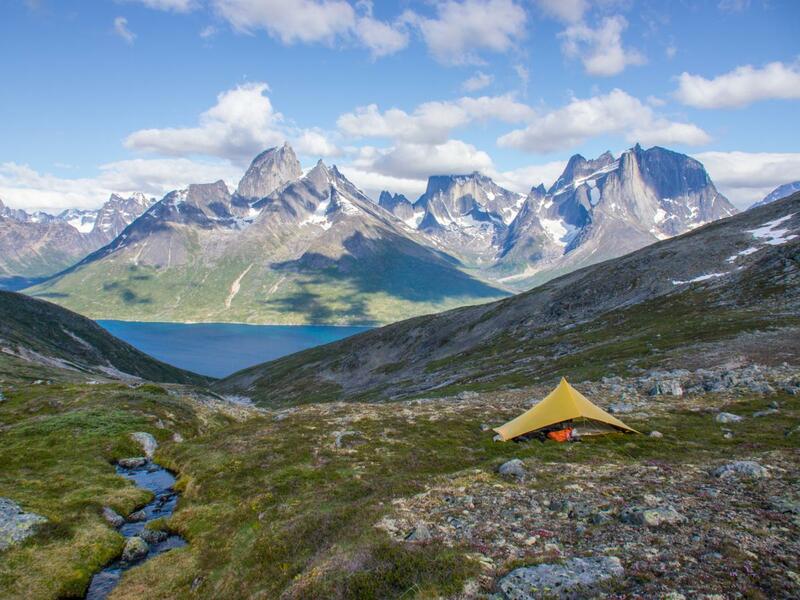 I climb up to about 500m altitude and make camp close to the creek, with fantastic views towards the big walls at the other side of the fjord. I cannot find a spot sheltered from the wind and make a relatively low pitch again. After dinner I decide to hike up as high as I can on the east ridge of summit 1282m. The climb towards the ridge is mostly on small boulders; I reach it on a secondary peak of about 900m. Then I start tracking the ridge up until it gets too narrow and technical at an altitude of about 1150m. The northerly wind, now blowing with gusts up to 80-90km/h, is too strong to hike further up in a safe way. I seek shelter between some boulders and enjoy the views. Once again, those views are amongst the most breathtaking I have admired in my entire life. I can see almost the entire Tasermiut fjord from the Tasersuaq lake up to the ice cap, a distance of well over 30km. Its eastern shore is dotted with an incomparable array of granite spires and big walls. I cannot find words to describe this place. It is an almost surreal, raw and mineral mountain landscape. Deep down, fierce wind gusts race across the fjord, visible as dark, wrinkled zones in the fjord water. I stare around for over an hour, but I have taken too little clothes to endure the icy wind until sunset, and slowly start descending towards the secondary peak again while the mountains are flooded by yellow-orange light. Cirrus clouds near the horizon in the west unfortunately prevent a strong alpenglow. I quickly descend through the boulders again and make hot soup at my tarp to drain the adrenaline before going the sleep. During the night the wind continues to increase, now violently shaking my tarp. It also starts to rain moderately, and the cloud base has descended to about 1000m by the morning hours. Deep down, I can see very large waves sweeping across the fjord. I am stuck. A bit further south, a steep cliff face drops down into the fjord, so there is no way I can continue further south on foot. 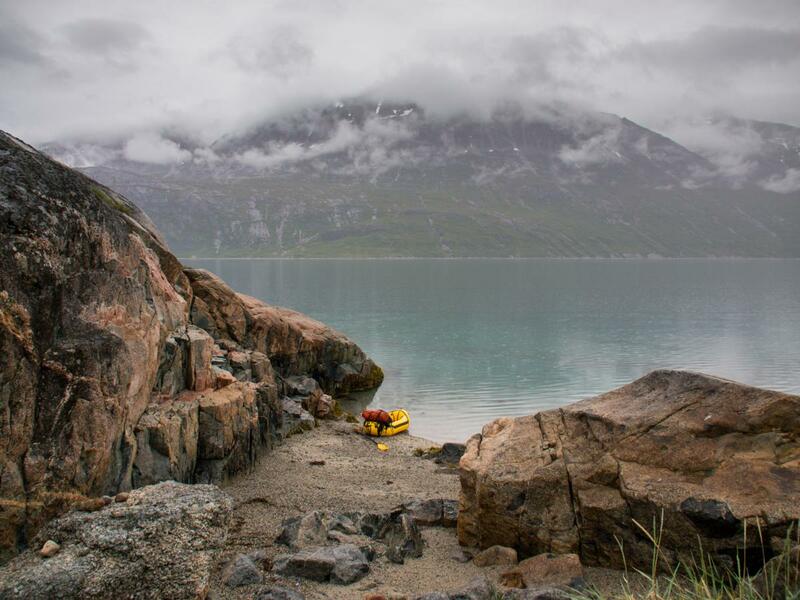 The only way to get to Tasiusaq is by paddling across the fjord, and continuing on the other side. There is no way I can do this in a safe way in the current conditions. The day passes by with no changes in the weather, and by 4pm I realize I will not get away today. The wind and rain keep battering my flysheet throughout the evening hours and during the first part of the following night. Then finally the wind drops altogether in the second part of the night. It keeps raining, however, with a very low cloud base at around 500m. Physically broken and bored by over 30 hours on my sleeping pad, I get going immediately. 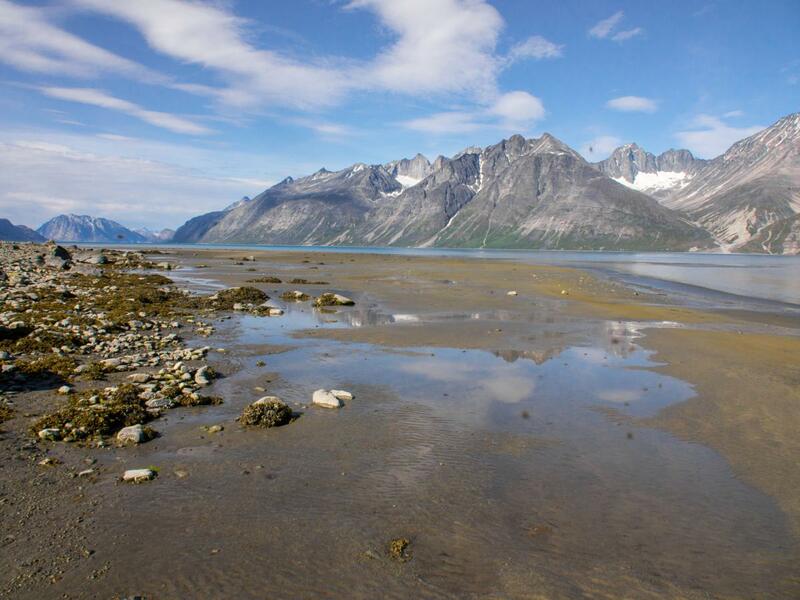 This is my chance to get across the fjord, the last real physical barrier towards Tasiusaq. This time I hike down back the the fjord south of the main creek, which is clearly the best way to get in or out this side valley as I do not have to cross a single gully this time. 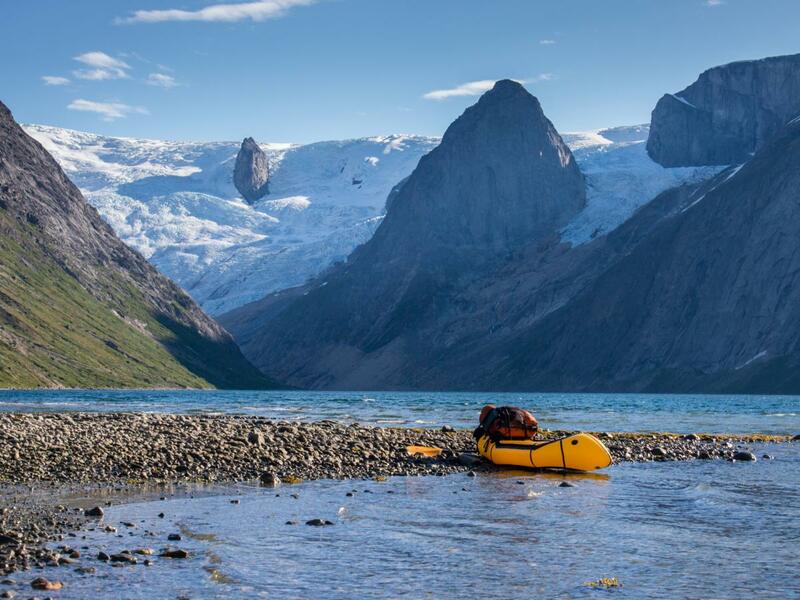 I inflate my raft and immediately start paddling across the fjord and towards the base of the impressive walls of Ulamertorsuaq (1829m). On the way I am chased by a ringed seal again, which approaches me down to about 5-10m. It is a powerful feeling when I see it pop up from the water time after time, in the middle of the fjord and with nothing then raw wilderness around. Unfortunately I only have my GoPro camera at hand because of the rainy weather. Once I am across the fjord, I take my regular camera with my in a drybag for the next encounter. But unfortunately no more ringed seal pop up around my raft. When I paddle south, however, I am suddenly startled when the water about 500m away seems to start boiling. It is a large school of barbed seals of about 30 individuals, which ‘jump’ out of the water and make loud, roaring sounds. I feel bewildered. The fjord steams with life and I am amidst as a privileged spectator. I try to get closer to the school, but after a few minutes of activity they disappear, then pop up again over a kilometer further. They are too fast and eventually get out of sight. Apart from the seals, it is a relatively boring day, with all summits hidden by the clouds and rain often falling down. The landscape slowly opens up as I progress further south. 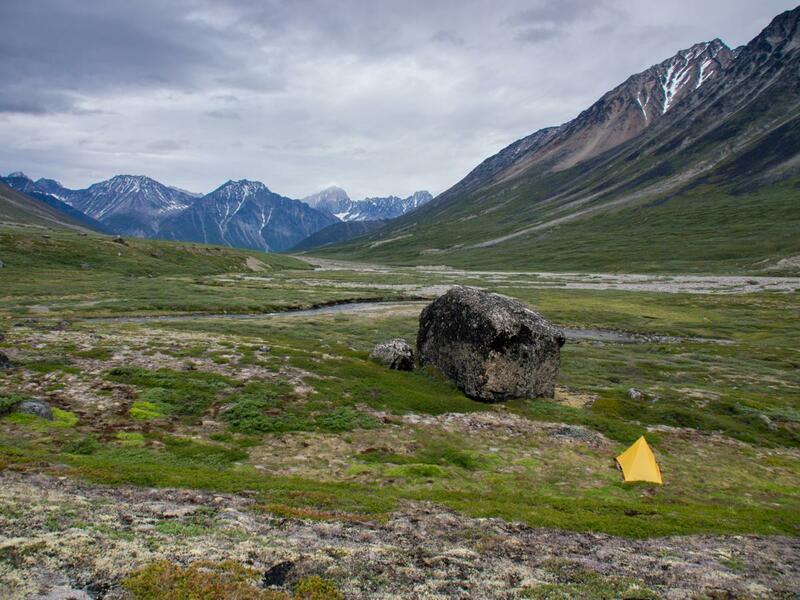 About 2km before reaching the mouth of the Kuussuaq river, which drains the Tasersuaq lake, the rain intensifies again and I decide to pitch my tarp on a rocky outcrop above the fjord. After over 48 hours of rainy weather, it has finally become dry again by the next morning. Dense fog limits the views to about 20m, but it looks as if the sun is trying to burn it away. I inflate my raft and start tracking the shore, with my compass at hand. 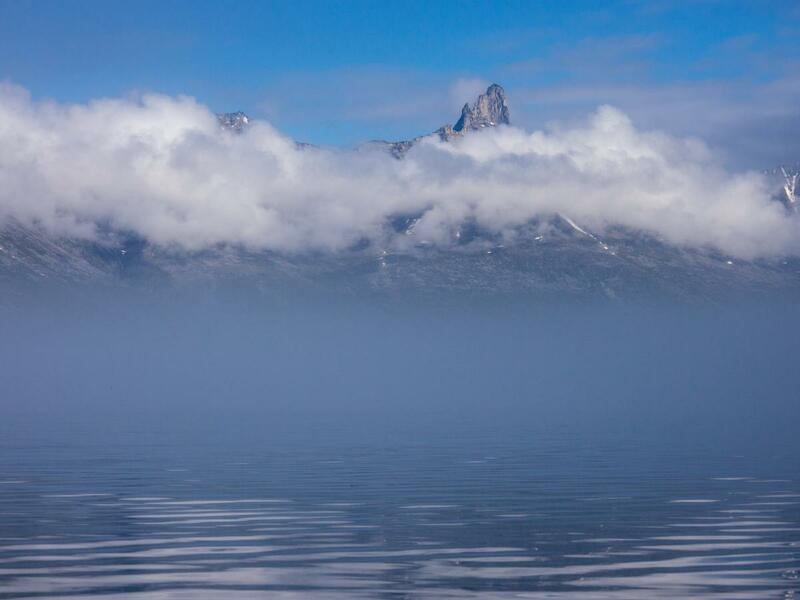 After about half an hour the weather clears, the summits around the fjord appearing one by one until I am paddling under an almost perfectly clear sky. I continue rafting until I reach the first signs of civilization near the Nuugaarsuk Leirskole. A fjord wind starts to pick up, quickly intensifying to a 5 beaufort breeze which makes rafting impossible. 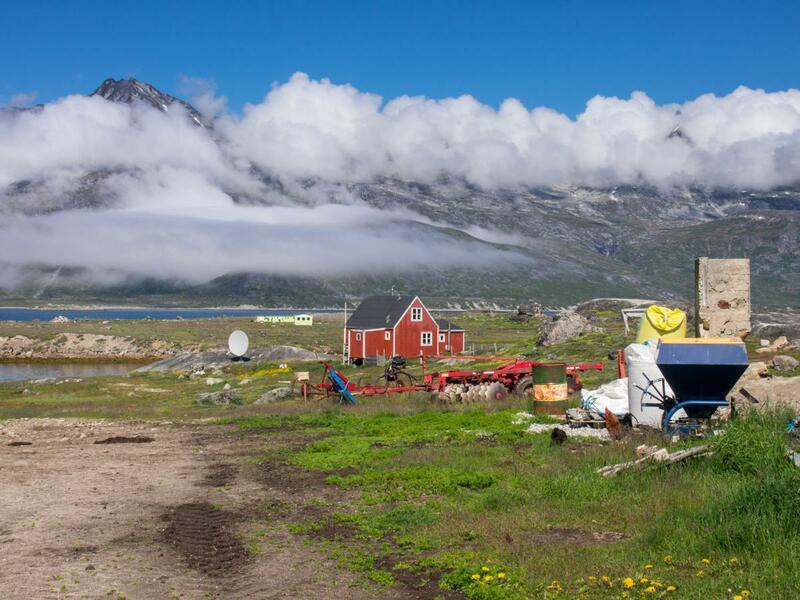 I pack my raft and pick up a dirt track to hike towards Tasiusaq, passing a sheep farm on the way. 10 days after the farmer at the Amitsuarssuk fjord I see humans again, though from a good distance. I wonder how many people in the world have ever spent such a long time span on their own, without even the possibility to see other people, even if I had wanted so one day. 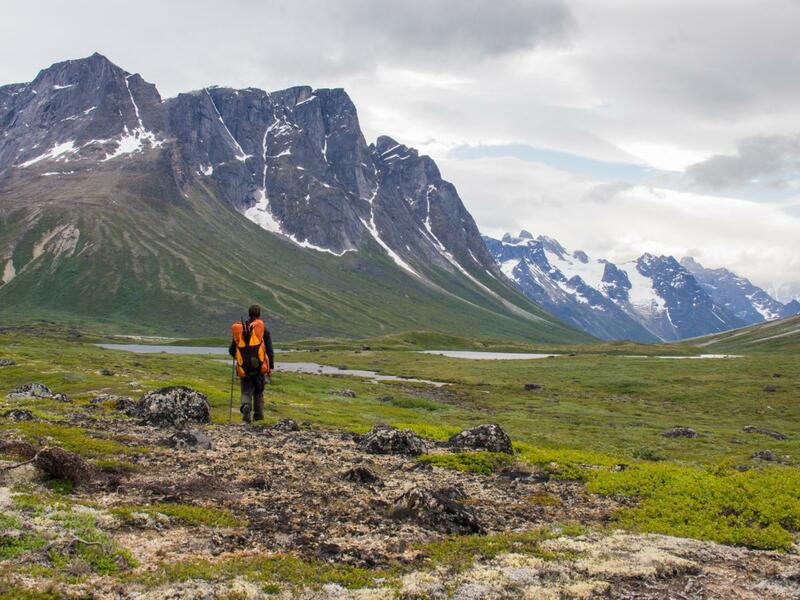 The track guides me across the south ridge of the Qaqqatsiaq hill, while I spot my third white-tailed eagle of the trip. After that there is only the final descent towards the town left. 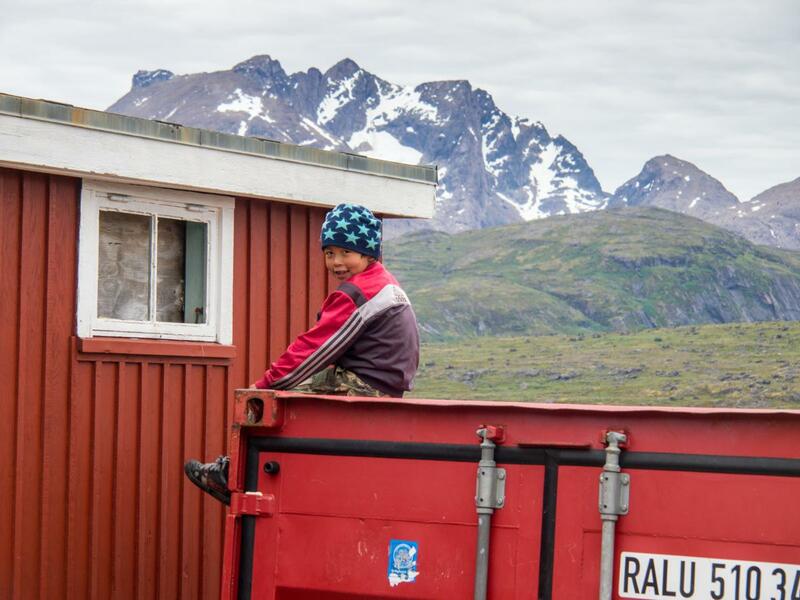 I pass a dumping ground just out of the village, with garbage drifting on the pristine water of the Tasiusaq bay. Yep, it is with mixed feelings I enter the village, and wave the Inuit children which are playing on the heliport hello. I already long for the next week through the wilderness. 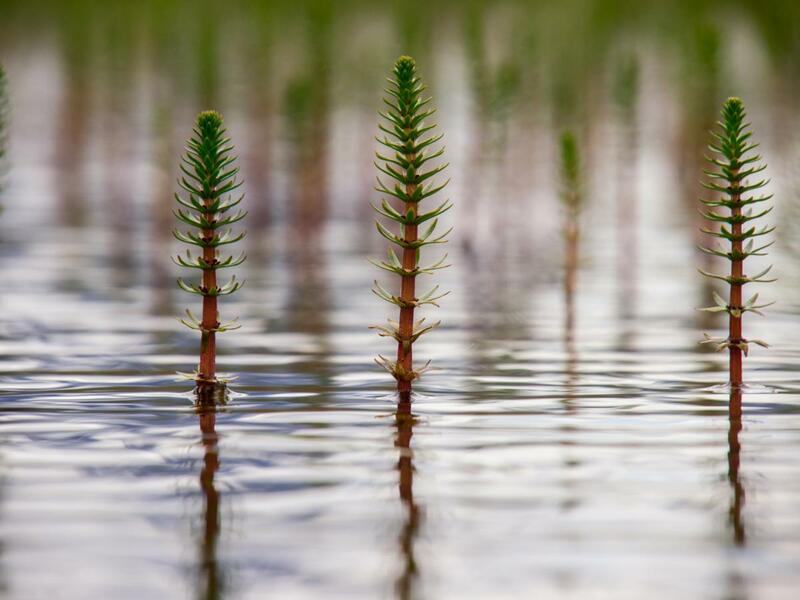 Hi´:-) amazing Pictures from an amzing journey. 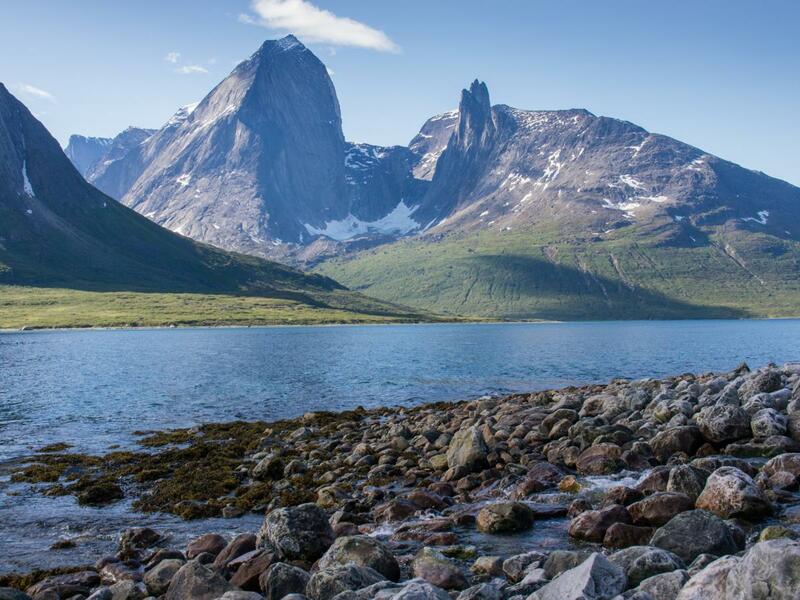 Myself are born in Aappilattoq, and has done my own climbs and trekks downthere…The area are unic compared to so many other amazing Places in our World. Those types of landscapes are very insisting and demanding for using all your own ressources 100 %…and to be tough mountaineerer may include to face challenges the inviroment gives body, sences, emotions, brain and instincts…to “download” all new experiences you only can use in specific areas…the icebergs, the tide and fiordwinds, the føhn-wind, the sun and rain and the real feelings that you´re completely depended of your own will to overcome fears and even panics. 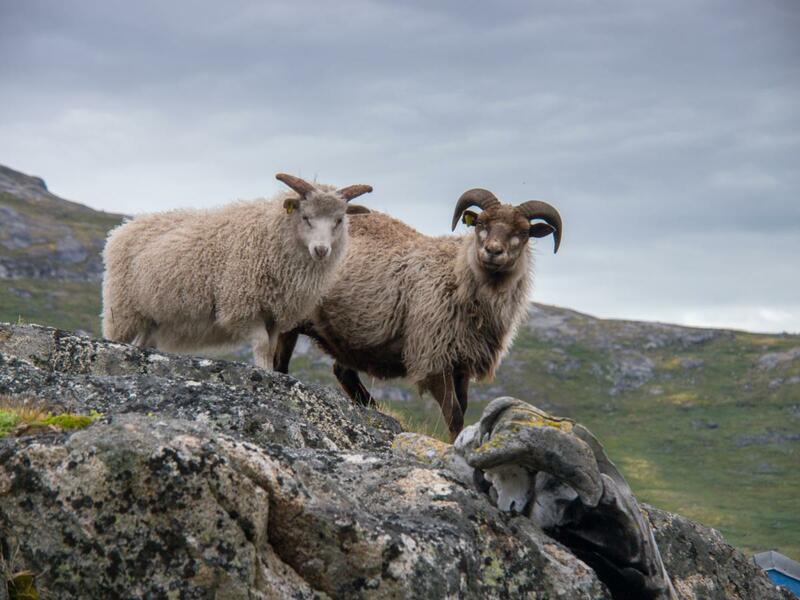 Only few of you are blessed to experience such an strong nature that way you has crossed the Southern alpine area of Nunatta Kujataa – southgreenland -, and my mind smiles with you 🙂 Thank you so much for sharing your journeys in my bonland. Inuk Mouritzen. It is great to get a reponse from someone actually living in Southern Greenland, and to know that you are enjoying my posts. I have passed just a few kilometers from Aappilattoq later in my trip, and will try to write about that next week. I have felt great warmth and hospitality from all the people I have met in the Tasermiut area, and I thank you for that. 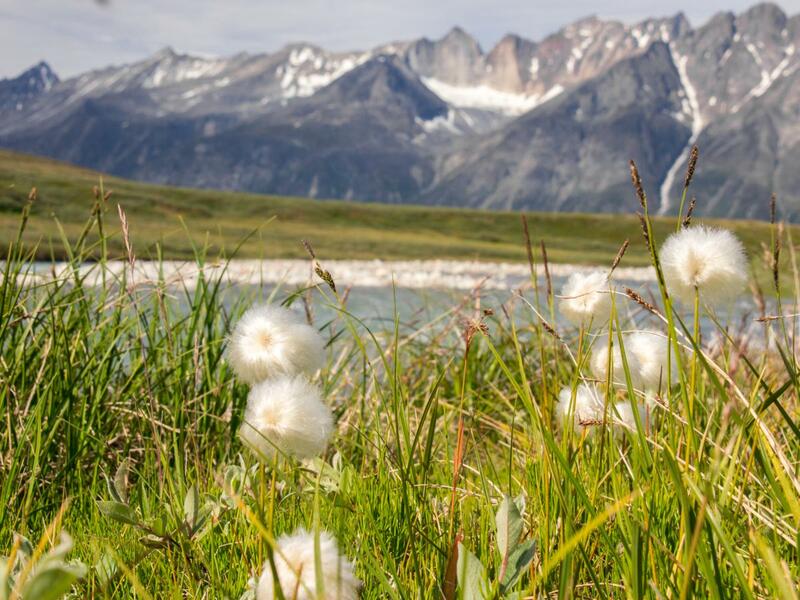 For people like me – living in the city in western Europe – it is hard to imagine growing up and living amidst such wild and unspoilt nature, and I consider myself privilidged to have seen and felt so many wonderful places and the way the people in Greenland have adapted to this extraordinary but harsh environment. The scenery is stunning, no doubt this is an awesome achievement on your part. Glad to see the Cricket still going strong. Are you still using the same camera as the last trip? Hi Roger, thanks for your comment. Yep, Cricket is still doing fine, although the conditions in Greenland were sometimes on the limit. I will try to write a line on that after I have finished my report. The pictures are excellent, and post processing is always an enjoyable if somewhat time consuming process in my view. Looking forward to more. 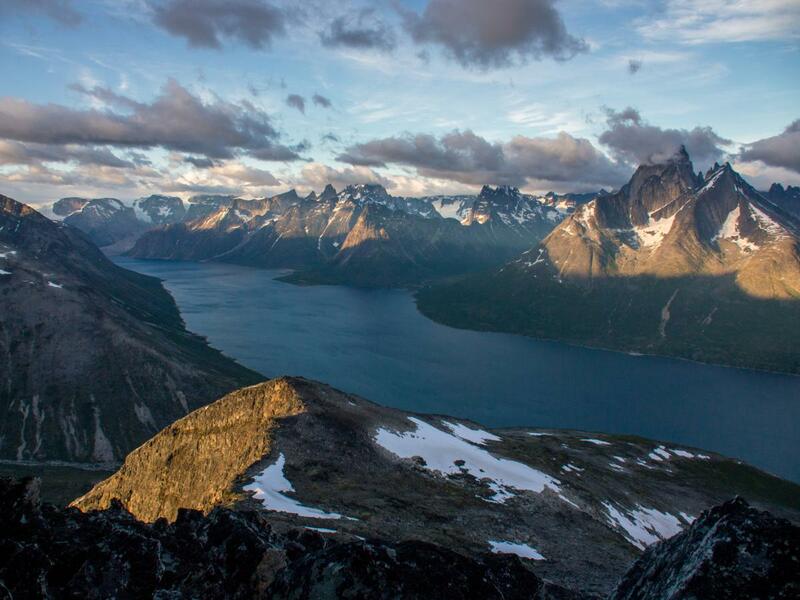 wow, just stumbled upon Tasermiut fiord.. absolutely amazing! great photos, awesome experience! Willem Vandoorne © 2011-2015 Unauthorized use and/or duplication of this material without express and written permission from this blog’s author is strictly prohibited.